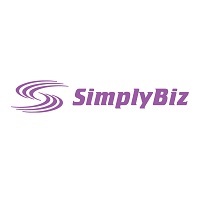 SimplyBiz Group plc (LON: SBIZ), the leading independent provider of compliance and business services to financial advisers and financial institutions in the UK, announced today that it has conditionally agreed to acquire the entire issued share capital of Regulus Topco Limited, owner of Defaqto, a leading financial services technology business, for a total consideration of £74.3 million. On completion, Defaqto will have £3.4 million in cash on its balance sheet. · The Acquisition includes the purchase of £3.4 million of cash on Defaqto’s balance sheet at completion. o the balance of approximately £3.1 million from the Company’s current cash resources. · Post-Acquisition leverage is expected to be c.2.3x net debt to enlarged Group adjusted EBITDA (before share based payments) and expect this to be below 2x by 31 December 2019 due to the Group’s high level of cash conversion. · The Acquisition is conditional, inter alia, upon admission of the new Ordinary Shares to be issued under the Institutional Placing and the Consideration Shares to trading on AIM (“Admission”). · The Placing Shares were conditionally subscribed for at, and the Consideration Shares were conditionally issued at, a price of 180 pence per Ordinary Share, representing a discount of 6% to the closing mid-market price of the Ordinary Shares on 19 March 2019. · The conditional Institutional Placing was conducted jointly by Zeus Capital Limited and Peel Hunt LLP (together the “Joint Bookrunners”). “The combination of the largest provider of outsourced regulatory and business support to the retail financial services market, with one of the leading providers of financial information and technology, will create a market leading platform across Retail Financial Services. Collectively the two businesses will work to enhance our proposition to the Banking and General Insurance sectors whilst continuing to invest in the leading fintech platform.